We have this in a mamak, seriously don't know where is the exact location. But all i know is opposite the BHP petrol station, Taman Melawati and beside the Sekolah Kebangsaan Taman Melawati 2. That mamak is just along the road side. Thanks god there is no raining on that day which is a good weather for hiking. 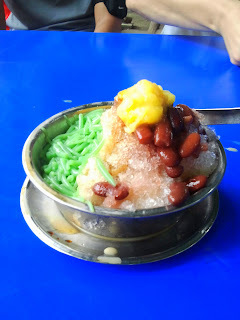 However is hot and stuffy, so cendol is the best treatment to cool down everyone especially after hiking.Here is the cendol, Yummy... My favourite corn and kidney beans...In cendol most important is the kidney bean got taste but kidney beans don't have the bitter taste. Cendol- PASS!! After hiking, i don't feel hungry instead i feel thirsty but after the cendol retreat my stomach start growling. Time to find main course! 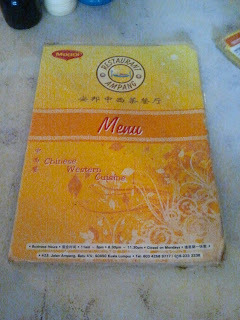 Here we are for the western and chinese cuisine. When we first arrive, i was is this a restaurant, doesn't look like. Anyway location will be provided below. Due to i am poor in identify road and my friend is driving so i just provide the address. Address: 423, Jalan Ampang, Batu 4 1/2, 50450 Kuala Lumpur. Here's the menu, please order. 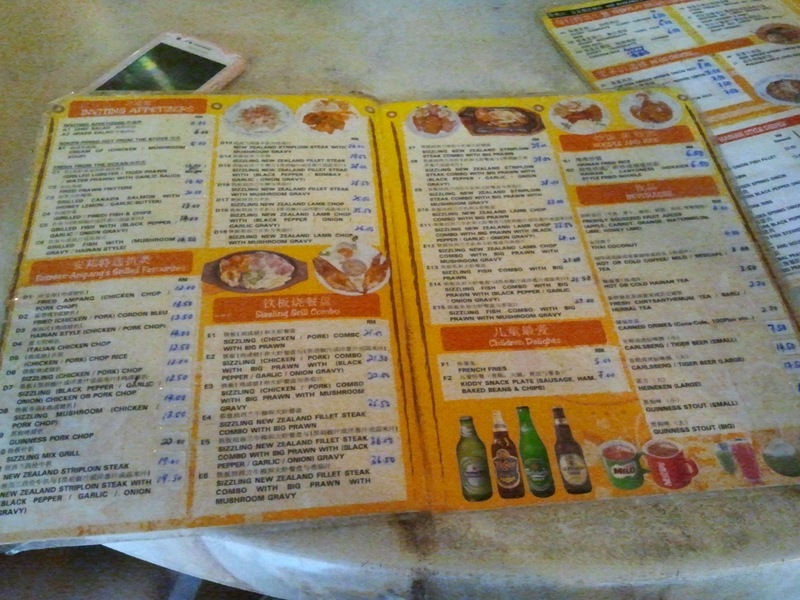 After cheking the menu, there are too many choices till we feel like try as many as we can. So we decided to choose combo set which contain two types of choice meats (chicken or pork) and seafood (prawn). 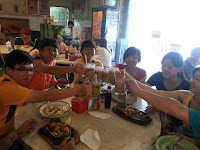 We order sizzling chicken (black pepper gravy) with big prawn and sizzling pork (garlic gravy) with big prawn and share among four of us. The portion of the food are quite big as for girls appetite for guys i think they are just enough to fill them up. We order hailam tea for drinks since everyone didn't try before. Sizzling chicken (black pepper gravy) with big prawn. Sizzling pork (garlic gravy) with big prawn. This is the restaurant boss extra give us. When we almost finish our food, guess what? Restaurant boss serve us two plates of lamb ribs for free maybe he saw us big bunch of people come and eat here, so give us to try this ''lamb spare ribs" with secret gravy. Hurray, my favorite lamb meat. Hehehe... Lamb meat of course is little as is spare ribs part but the gravy really not bad quite nice, perfect match. 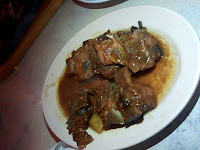 The lamb spare ribs are nicely marinate and match with the gravy which did not really over-mask the lamb taste. Environment: Ok but A bit 'romantic' not so bright environment.